Over the last decade, change has been the only constant when it comes to the media. Everything from the way news is consumed to the bodies that deliver it has shifted. Even the fundamental question of what constitutes “news” has become muddled. With mobile ubiquity and social media here to stay, it’s hardly a bold prediction that the industry will change even more in 2019. But what will those changes entail and whom will they affect? Here are some storylines worth tracking as the year progresses. Trending Up — PR Partnerships: The role of public relations professionals will shift from “vendor” to “partner,” as clients gain a firmer grasp on their multiple skillsets. Instead of relying on reporters, PR professionals will become the content creators themselves, using the countless mediums at their disposal to push out stories and help their clients grow. Trending Down — Paid Media: With so many opportunities to “earn” media, whether through social media or SEO, overreliance on paid media will begin to dissipate. Make no mistake: paid media will remain critical, especially for exposure-needy new businesses. But as companies heighten their investment in organic growth, paid media will be more of an ancillary part of their marketing budget. Trending Up — Influencer Marketing: The fall of traditional media has given rise to a new industry known as influencer marketing. Though still in its infancy, influencer marketing has already proven to be hugely effective, with businesses making $6.50 for every $1 spent, according to Tomoson. That ROI makes influencer marketing the fastest-growing online customer-acquisition channel, outpacing organic search and email marketing. Trending Down — Press Releases: With their role as content creators poised to expand, PR professionals will soon shake their stigma as scarcely skilled press release producers. Instead, they will devote more time to producing blogs, social media posts, infographics and other consumer-facing content. Even their press releases will be shared directly with consumers (in addition to media partners). 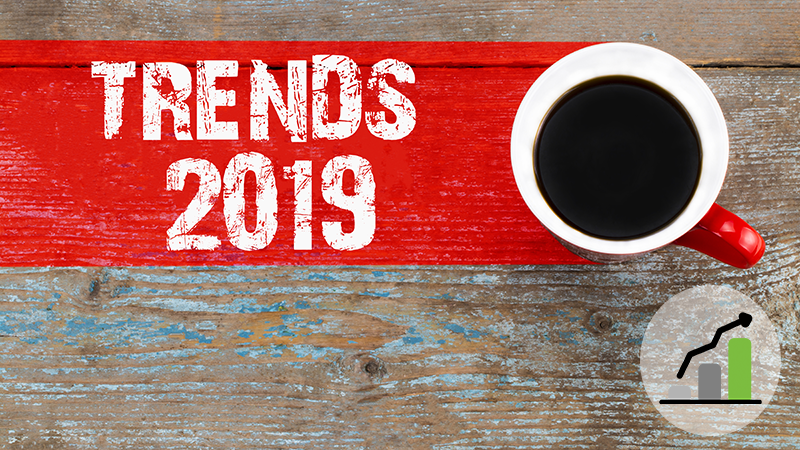 Trending Up — Native Advertising: Hailed as one of the most effective new digital marketing tools, native advertising will continue to trend up in 2019. Native ads deliver higher click-through-rates than banner ads, yielding more leads and sales. And since they blend into their digital environment, they allow brands to connect with consumers in a more natural and contextual way. Trending Down — Fake News: The lessons learned from the scourge of “fake news” over the last few years will finally start to show in 2019. You’ll see more diligence from journalists, editors, content creators and publishers to make sure every statistic is correct and every source is cited, so naysayers have less ammunition with which to make baseless accusations.